Before the new school year starts, learn how to use a planner so it can help you have a successful new year. Read this post by The Tutoring Center, Parsippany NJ for tips on the matter. Prepare for your next school year successfully with one-to-one tutoring in Parsippany NJ. Call The Tutoring Center, Parsippany NJ at (973) 884-3100 to learn more about their academic programs. It can be incredibly difficult to be a successful planner if your planner isn't the right one for you. That's why the first step is to make sure that the planner you choose will be able to help you stay organized. To that end, it's important that you go for one that has dates, that has enough space to write all of your daily duties in, that you can carry around comfortably, and that has a design you love, so you can feel more motivated to use it on a daily basis. How do you expect to keep your planner updated if you don't have it within arm's reach? To ensure that you will be able to note down everything you have to do during your day, it is highly suggested that you always carry your planner with you (which is why, in the previous tip, it was recommended that you get a portable planner). In any case, be sure to keep it in your backpack when you're going to school, so you can take it out and write down your scholarly duties without much problem. If you have a goal to be more organized, if you went through the trouble of searching for the best planner for you, and if you're constantly carrying your planner around, then, by all means, use your planner! There should come a point when you trust your planner more than you do your memory. 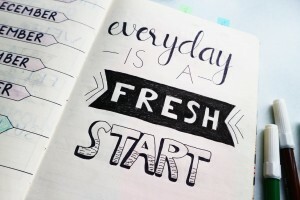 And for that to happen, you need to write down every project, test, assignment, social event, or other activity you have going on, so you can be reminded of it through your planner. If you want to take it a step further, you could even create a schedule to complete all of those activities in and manage your time more effectively. Enroll in tutoring in Parsippany NJ to become a better learner this new school year. The Tutoring Center, Parsippany NJ at (973) 884-3100 to schedule a free diagnostic assessment. It's probable that your planner will be completely filled with information (on things you have to do, on things you've already done, etc.). To avoid getting confused by all of that information jumping at you, it is important that you make use of different tools to stay organized. To that end, you can employ colored pens, highlighters, and sticky notes. For example, you can assign a colored pen to each duty (e.g. blue for extracurricular activities). When you do, you will be able to identify what you need to do in a day at a glance. As mentioned above, your planner is meant to remind you of what you need to do. Needless to say, if you never check it or open it up, you can't expect it to remind you of anything. For that reason, it is important that you check it on a daily basis (even on days when you think you have nothing going on, so you can build a habit). You should even check it multiple times a day. For example, you can check it in the mornings to find out what you need to do for the day; then, at night to verify that you've completed all of your goals. This will keep you on track and accountable. Last but not least, if you truly want to be able to rely on your planner, you need to keep it updated. This means that the second you complete a task, you should cross it off in your planner to avoid confusion. Likewise, if a new task comes up, you should write it down in your planner immediately. And, if the information regarding one of your duties changes, be sure to update it at once, so your planner can be a tool you can depend on. Call The Tutoring Center, Parsippany NJ at (973) 884-3100 if you require assistance to become the best student you can be during this new school year.